The ASUNM Lobo Spirit Committee hosts the Red Rally Bonfire and Pep Rally Thursday, Sept. 8 from 8 to 9 p.m. at Johnson Field. Rated No. 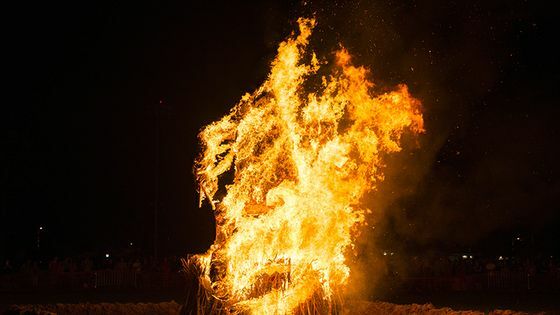 55 in Sports Illustrated's "102 Things You Have To Do Before You Graduate" article, the Red Rally bonfire features the burning of a 25-foot tall Aggie that builds excitement and school spirit for the Rio Grande Rivalry football game against long-time rivals New Mexico State. The pep rally includes the football team, spirit squads and Spirit Marching Band and more than 3,000 students. This year’s Rio Grande Rivalry game against New Mexico State takes place Saturday, Sept. 10 at 6 p.m. in Las Cruces. In a series that is older than the actual state of New Mexico, UNM leads 70-31-5. 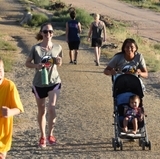 For more information, visit ASUNM Lobo Spirit Committee, Red Rally, or contact (505) 277-0372.